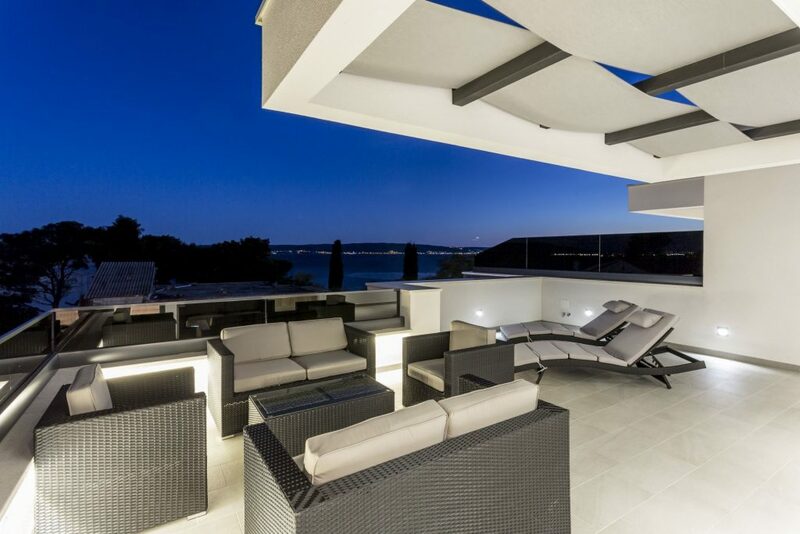 Villa Kambel is located in the peaceful place in the city of Kaštela that will attract you at very first sight. 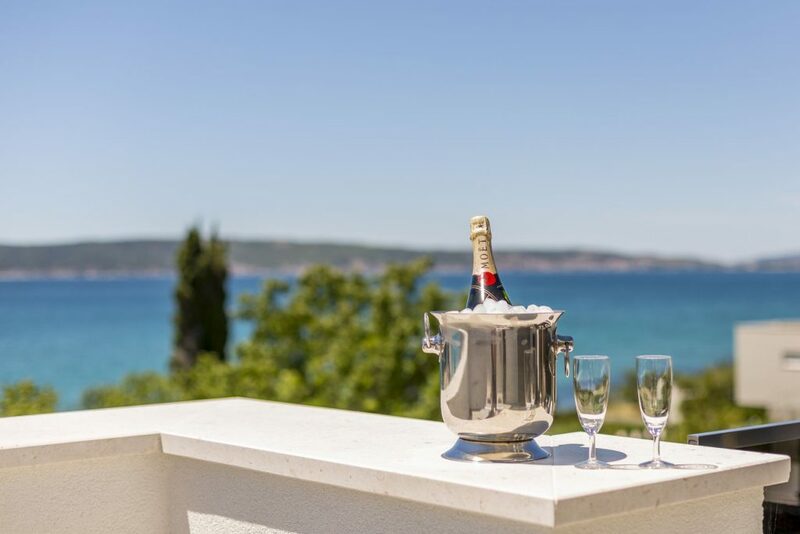 You will enjoy the sounds of its old stone streets, tastes and smells of its restaurants and taverns or relax on the sun of its beaches. 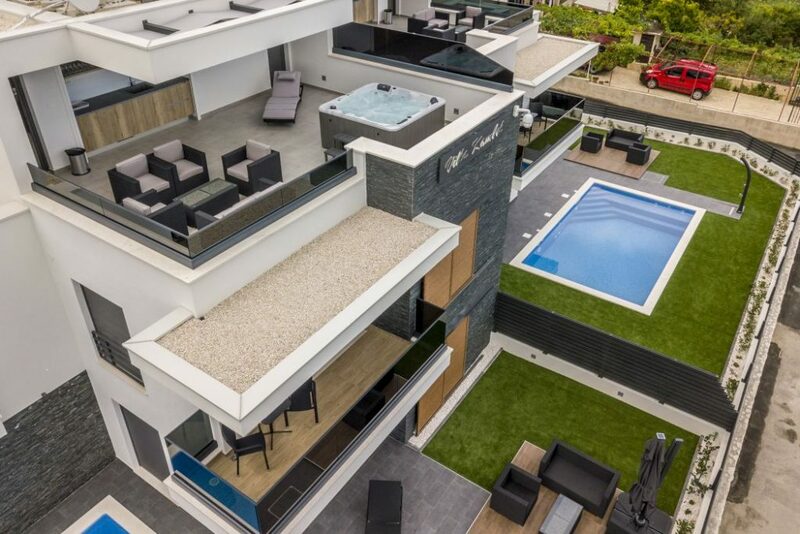 Villa Kambel was completed in July 2018 and it’s designed as a complex of two villas, Villa Kambel East and Villa Kambel West. 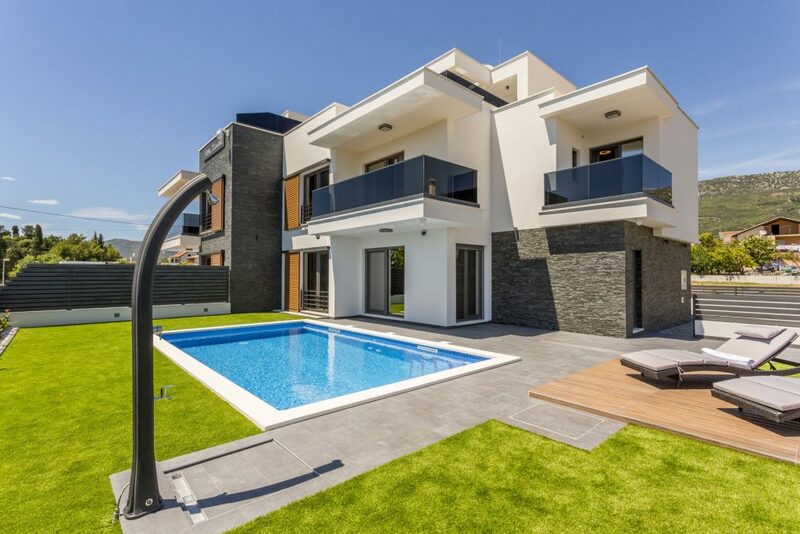 Each villa is independent with own private heated pool with massage system, jacuzzi, outdoor parking space for few cars and doesn’t depend on the other. 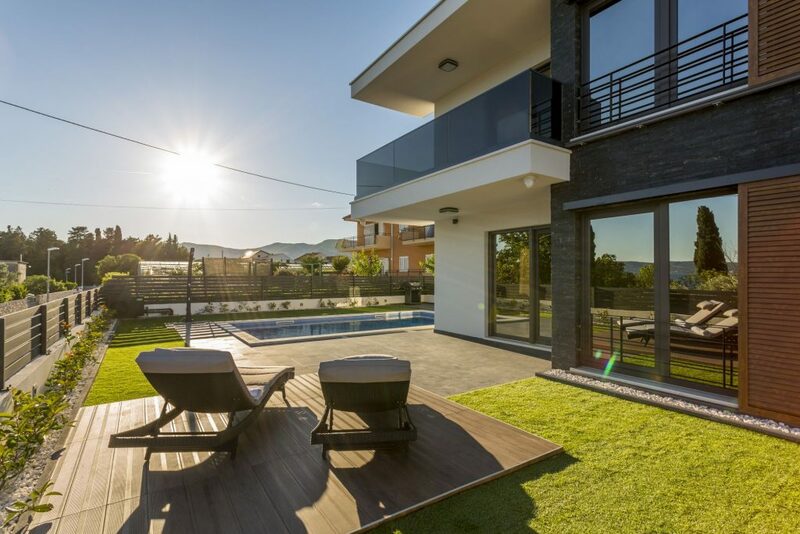 Villa is located in Kastel Kambelovac only 50 m from the sea, 250 m from the nearest beach and long promenade by the sea that connects seven castels, 5 min to the center of city. 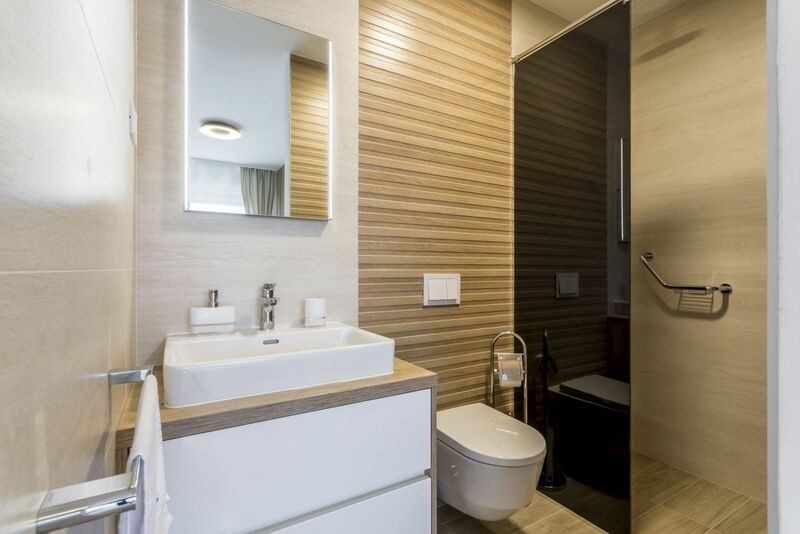 Also, provides complete privacy from the neighbor’s interaction which is ideal for holidays with your family and friends. 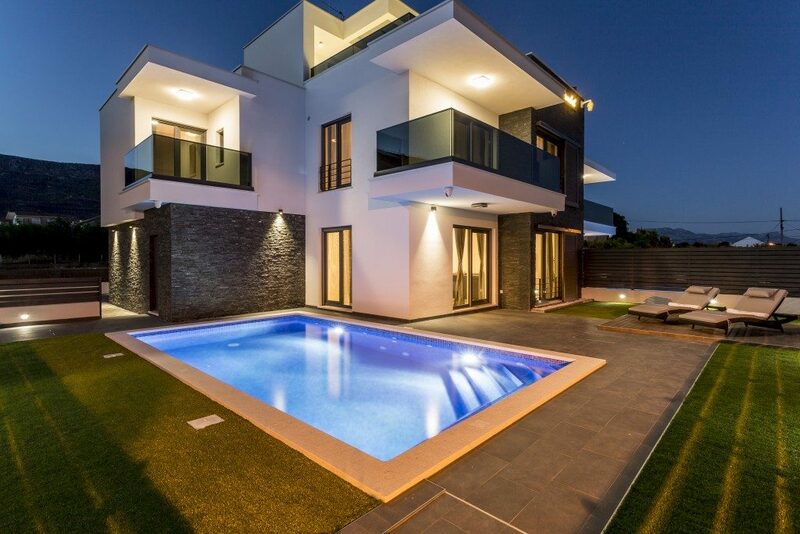 Villa is arranged over three floors: ground floor, first floor and terrace with the bar on the top. 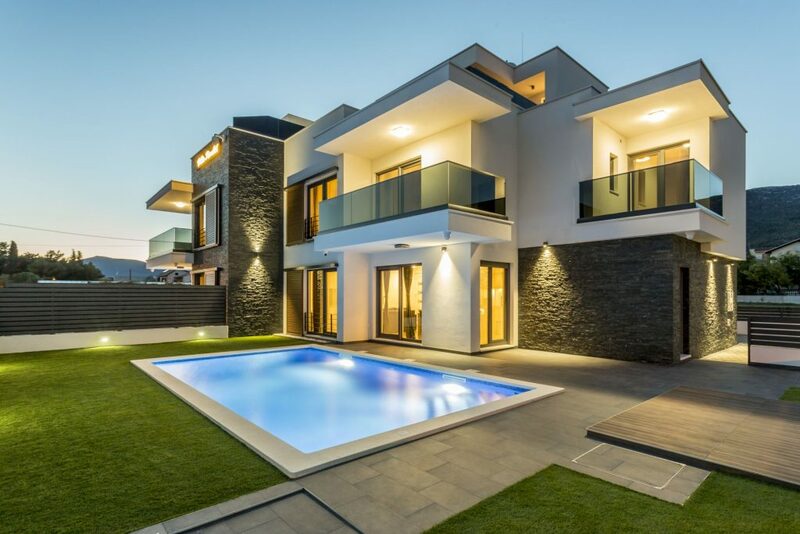 Although the area is known as historical cites, Villa Kambel is modern, luxurious, and very stylish. 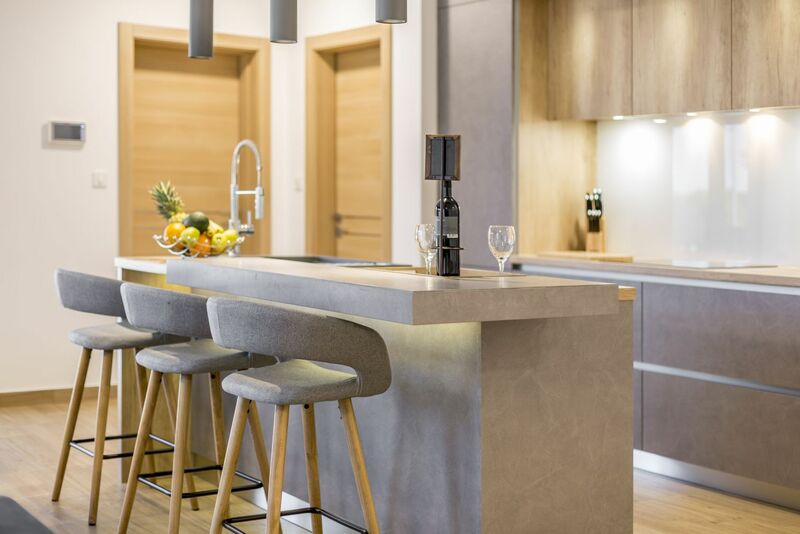 Ground floor of villa is design as a comfortable living room with fully equipped kitchen and big dining table. 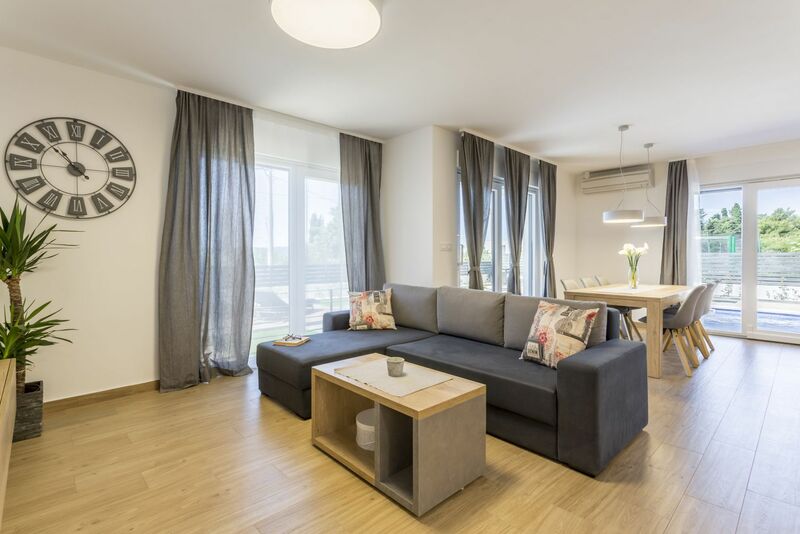 Villa is comfortable for 6 persons in 3 double bedrooms with sea views and 2 people can sleep in extra sofa bed in the living room. 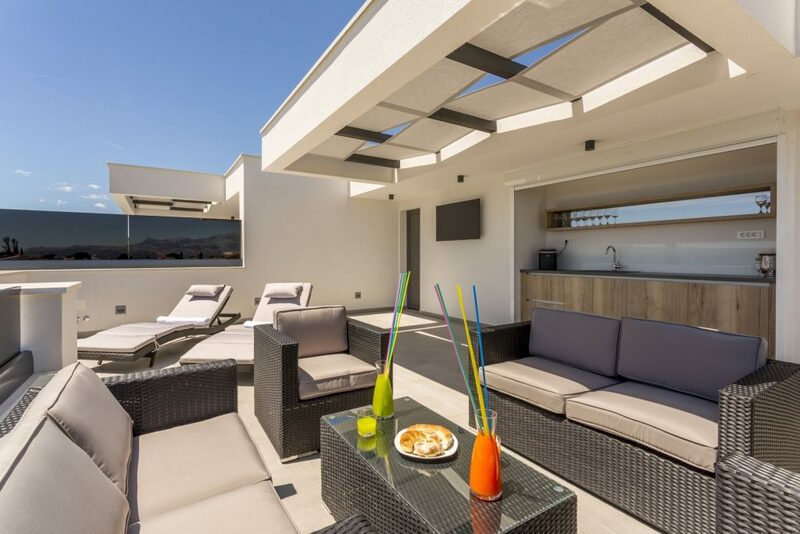 Top floor is designed as relaxing terrace with Jacuzzi, rattan garniture, drinking bar and amazing sea view on islands…. 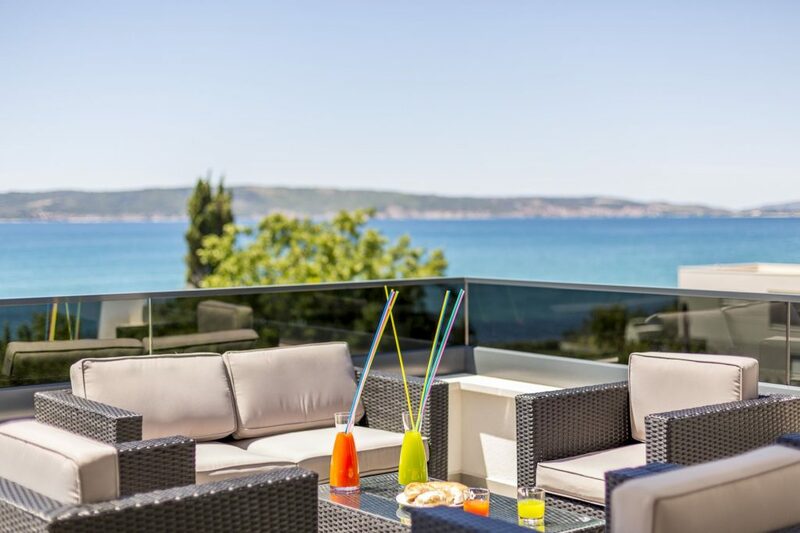 Enjoy in the sea view, relax by the pool or take drink on the roof terrace, and make memory of the welcoming sunshine of Dalmatia. 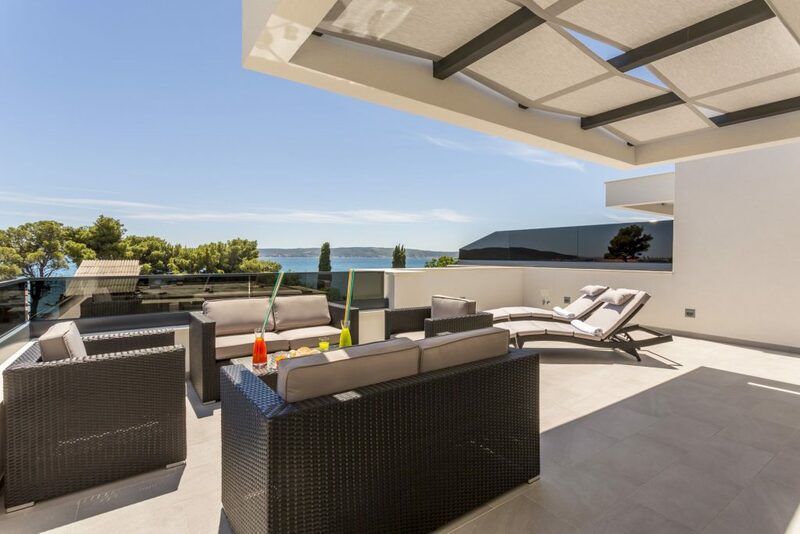 Delight in a luxurious vacation in this modern, stylish property that will provide a Mediterranean dream holiday on the sunny Dalmatian coastline. 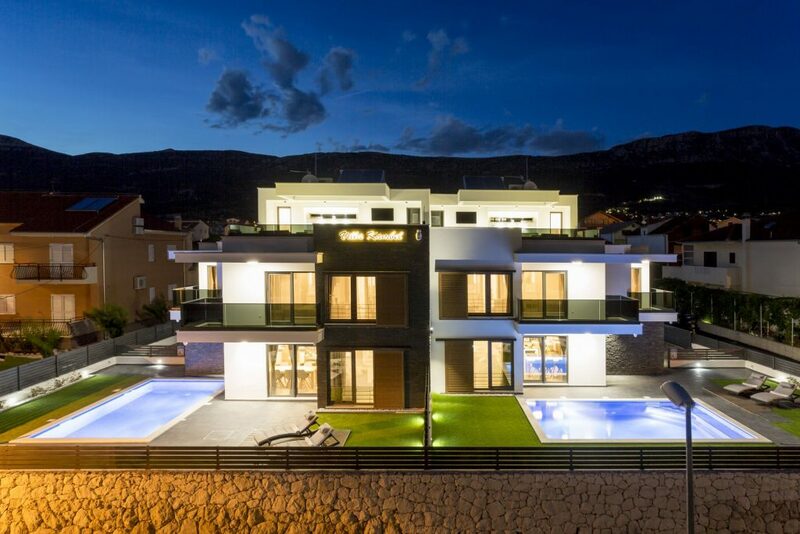 Villa Kambel - Croatia. Web development by Propono multimedia. All Rights Reserved.